We first met her on a crisp Colorado fall day in 1999, around the time when golf clubs are being stored for the winter and skis are being readied for the season. From the moment we met, there was never a doubt we would be taking her home that afternoon. And it wasn’t long until she found her place in our family. It has been over fourteen years and our girls are now in their twenties, yet the memories of them with Molly when they were younger are still fresh. When she first joined our lives, the girls were in second and fifth grade. That first Christmas we purchased a permit to go into the forest to a cut a tree. And of course Molly went with us. I still smile when I see the pictures we took with the girls and Molly next to our fresh cut tree. She has accompanied us on countless ski trips, softball tournaments and birthday parties. She even spent a semester with my younger daughter at the University of Colorado! Later in life Molly visited a number of western states with us, with the family’s favorite being trips to the shores of Priest Lake in northern Idaho. Molly is starting to show her age. We’ve always been good about having her checked out regularly but leading such an active life, time does take a toll. We have gently broken the news to our children that Molly is not well and may not be with us much longer. A while back we were driving through the small town of Hayden and a woman ran out of a trailer waving. My wife asked if I knew her, to which I responded that she probably just recognized Molly. Then a few weeks later when Sue drove up to the local food bank for her shift as a volunteer during the Turkey Drive, a volunteer not knowing her knocked on the window and said, “Miss, if you pop the hatch we will put your food in the back”. When she returned home that day she insisted that with my current job we most certainly could afford a replacement for Molly. 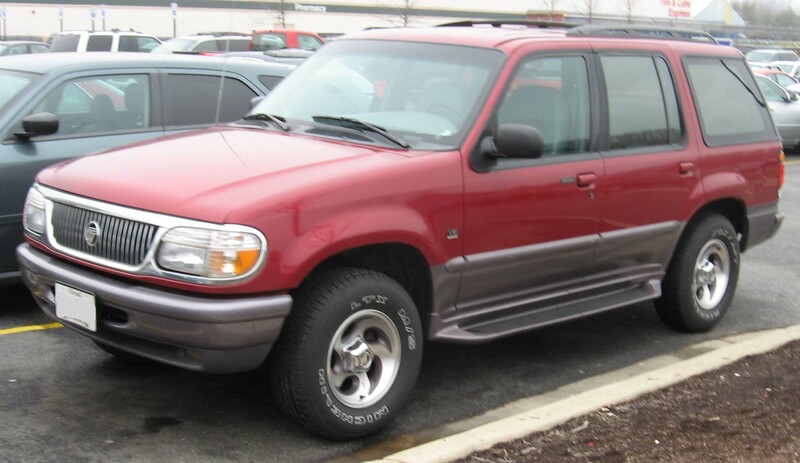 So there you have it, Molly, our faithful and reliable SUV for the past fourteen years may be on her last legs. I’ve still got her for now but don’t really have much hope of holding on too many more months. This entry was posted in Family, Personal Finance and tagged cars, life, musings, personal finance, writing on December 9, 2013 by Terry.